Using cited references to occult literature from the likes of Aleister Crowley, Helena Blavatsky, Kenneth Grant, Jack Parsons, and Alice Bailey, Isaac provides a fundamental exploration of the occult belief system and alternate version of history. 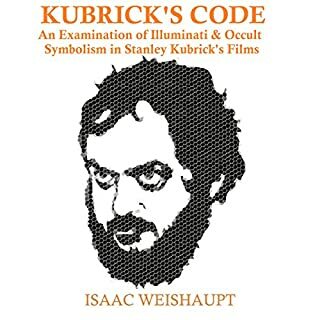 Utilizing familiar examples from pop culture, film, music, and television, Isaac proves the Illuminati agenda to steer humanity down a path of Luciferianism by inserting symbolism that speaks to, and manipulates, our subconscious minds. Demonstrations of occult symbols, predictive programming, and ritual magick concepts will be evident as the listener sees the connections made between Disney, The Beatles, Star Wars, Rihanna, Led Zeppelin, Jay-Z, Katy Perry, HBO's Westworld, Harry Potter, Batman, and many more! 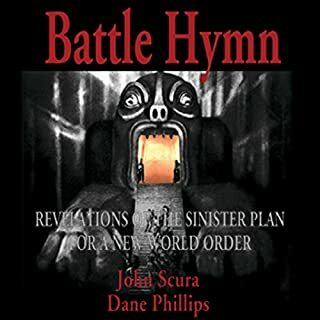 This work carves out a distinction between witches, satanists, magicians, occultists, and the New Age, while proving the connected desires to usher in Crowley's Aeon of Horus as the New World Order. 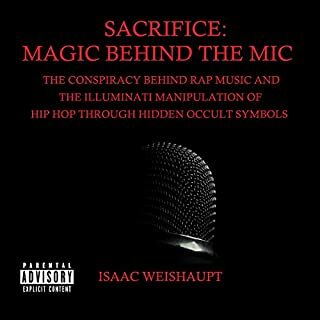 Isaac uses concepts from Gnosticism, Freemasonry, Alchemy, Kabbalah, and ceremonial magick to explain the symbolism in our entertainment. Transhumanism and the alchemical pursuit of immortality is the pillar to our future as NASA, Nazis, and Ancient Alien theorists use evolution to assert the superiority of alien life forms. The Illuminati savior of Lucifer is revealed, as well as his desire to put us into the digital matrix. i really like the topic BUT man get someone who reads for a living. SOOOOOO hard to get through. I do not like the readers voice tone and cadence. Excellent work. Thank you for sharing your gift. Even though I consider myself to be well informed in illuminati conspiracy theory you've always got some additional information or particular layer I missed. This was very well written and I truly appreciate the time you put into researching all of these topics. I have a pretty similar story to you and BSL as far as dabbling and being attracted to the dark arts which is probably why we woke up, honestly. Your YouTube channel was a key role in my journey by delivering the content free of bible thumping/scary music/and very easy to digest. It was what i needed at a time in my life when I was mad at God and obsessed with metaphysical healing and crystal jewelry. You inspired me to dig deeper into this and when I came out all the dots connected and I found my way back to Christ. One criticism I have is that I think you're still having a hard time claiming Christianity completely Bc you apologize or feel like you need to explain why you're talking about it as if you worry about losing the audience. I know where that place is Bc I was there a long time and it was solid proof of the brainwashing we've been put through. Keep working on making that connection and it won't be difficult letting go of whatever lingering doubt you've got. I have trouble buying into anything pop culture anymore Bc I see the new age agenda everywhere and there's nothing subtle about it. So blessed to have found your channel and BSL through you Bc this road is lonely and sometimes leads to feeling hopeless. Been dying to pick your brain so thank you for this wonderful gift! P.S don't knock the flat earthers lol. There's def something up with the Earth we aren't supposed to know. God Bless you and grant you the patience to never stop questioning! I had not been aware of Isaac Weishaupt until this audiobook came up as a suggested item in my Audible feed. From my own investigations into the subjects explored here, the author has done a good job with his research. Whilst I am yet to look further into his assessments of the likes of Rihanna, Jay Z and more recent pop icons, I found his report on the history of occult literature and personalities emerging into this era from the recent past engaging. (Notably, only passing reference to David Bowie is made; the exclusion of Alice Cooper, the heavy and death metal era, as well as the rest of the glam era dominated by Bowie is absent). I had not been aware of some of the information he reported on Alistair Crowley, nor the degree to which that figure has influenced so much of what the author deems occult. He could have made much more of Blavatsky and Theosophy as a movement, and more could have been reported, I feel, on the Rosicrucians, Freemasons and the OTO. The term "Illuminati" is after all part of the subtitle of the book. Where the narrative gets tedious is the Christian viewpoint that all this material is delivered through, and the assertion that all occult leanings automatically equates with a hatred / desire to eliminate Christianity and / or Christian principles. Whilst the author mentions on more than one occasion that he's "cool with other points of view" and "I'm not pushing Christianity on anyone", the entire subtext of the book belies this. Most telling is at the end where he relates an account of losing what was likely a lucrative job in hosting a TV show dealing with the subjects he has written so many books about. The reason he gives is because he refused to attend a ceremony that said show wanted to report on. His reason for not doing so was that his priest told him not too. If I have an interest in Olympic diving, and it's something I am drawn too and I love reporting and writing about it, and finally I get a big opportunity - "Here's your speedo son - jump into the water and get your story" - and I say "Better not, my doctor says I might catch a cold", my readership can draw a strong conclusion from that: I only report from the sidelines, and only from that one (Christian) perspective, from the bleachers, afraid that I might get wet. I like the authors presentation and voice (he mispronounces some words, Nephthys being one) but the analogy above suggests ultimately how I found this book to be. Illuminati Watcher Does It Again! I have been a fan of Isaac Weishaupt for awhile now. This effort is by far my favorite of his. Fun to listen to. It offers plenty of interesting ideas and insights. Bravo! Poorly planned, poorly delivered, biased and not delivered from the perspective that the book summary promised. 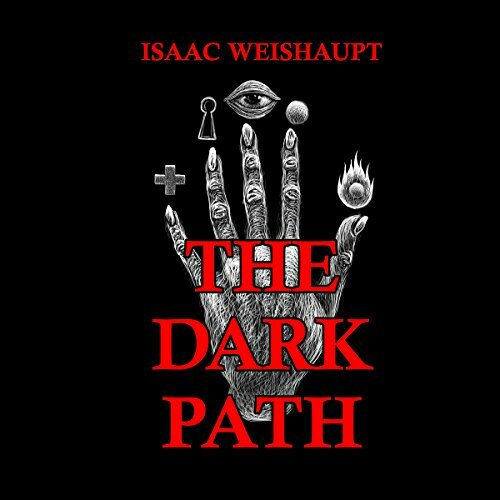 I was new to the works of Isaac Weishaupt prior to listening to this audiobook, but not new to the assortment of Illuminati theories that are out there. With the array of disinformation that plagues the internet, I found that his repeated referencing of credible sources strengthens his thesis and validates his claim toward a nefarious plot to enslave and destroy humanity. Being a devout Christian myself, the information set forth in this book parallels the teachings of Christian theology leading to end of days as prophesied in the Book of Revelation. I highly recommend this book to anyone who is struggling to understand the world we live in. God bless us all as we enter these dark days. I loved this book. It was an amazing comprehensive case study type of book about Concepts and ways of thinking that relate to the Illuminati ,luciferianism, transhumanism, and occult agenda's. Issac goes in depth and sites works and many types of media to back up his ideas and schools of thought. unlike many other books that just Give opinions on this topic Isaac actually uses materials both written, film ,and musical to back up his opinions and his thoughts. this book comes from a totalitarian type of perspective where it gives you several examples in several instances as to why he feels the way he feels. 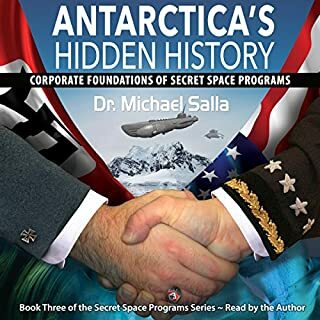 this book is wonderful for anybody just starting to delve into these type of topics and wants to look for themes and ideas to back up what they are thinking and the facts that they seem to be putting together. very interesting read and the fact that he uses his own voice to tell the story makes it very engaging so much so that I actually couldn't stop listening I listened to it twice. this book is so well thought out and so well-written that I'm actually going to have to buy the paperback copy just because I want to be able to go back to it and read again and again. truly a wonderful book. Yes. It will enlighten people. How indepth Issac gets. I've read a lot of authors who have written on this subject, but Issac seems to go deeper then them all. Have you listened to any of Isaac Weishaupt’s other performances before? How does this one compare? How music and musicians are entangled with witchcraft. As usual, Issac didn't disappoint. It amazes me how when you think you have heard everything on a subject, Issac goes even further. And I learn more. I'm always surprised how he explains things simply, but thoroughly. There's so much I constantly learn from his insight. The indepth research he does is very much appreciated. The performer doesn't know how to pronounce many words. Which is terrible in itself. This book gets so caught up trying to expose things it doesn't fully convey what it's trying to say. Very rambling, not cohesive. Will not purchase any other books from this author. Also referencing your own work in your work is unconscionable. 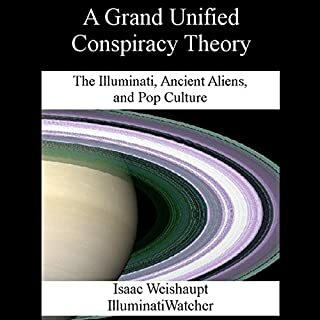 Isaac Weishaupt's book presents a very accurate less dramatized version of conspiracies than Alex Jones. I encourage everyone to read it. Unfortunately, there are a great deal of problems and factual inaccuracies with this book. I could spend a long time discussing them, but for this review I will list some of the main points. Firstly, it is primarily illuminati ‘lite’, or should I say illuminati ‘pop’, discussing what I would consider ‘gossip’ in the mainstream, as opposed to the dark recesses of what is really going on underneath the facade of pop culture. Pretty much everything in the book is common gossip and critically, opinion devoid of facts, so there’s nothing new to be found here. I would suggest the book focuses on the wrong points. Secondly, the book is awash with factual inaccuracies. The author notes his sources as Wikipedia, which is well known for providing false and/or misleading information. For example, the author considers the Gnostic belief system to believe that we are trapped in a “digital matrix”, much like the film. Clearly the author has not read the Nag Hammadi scriptures in full, and this is an insult to those following that faith. Gnostics believe, essentially, that the soul is trapped within a material body, of which materialism is inherently evil. To ascend back to The God of All, one has to achieve gnosis (enlightenment), to transcend the earthly existence back into the spiritual plane towards God. Materialism, money, things, etc, all trap the soul on earth. The demiurge and archons work to keep the soul enslaved on earth by materialism. Gnostics certainly don’t believe in some form of matrix like digital hard drive existence. Further, Gnostics were considered the earliest Christians with many codex's contained within providing, lost hidden or withheld knowledge responsible for the genocide against them in order for the church to claim dominion over men at the time. Third, The author has a fixation on Alister Crowley. Crowley was without a doubt NOT part of the illuminati, in fact by many the eventually penniless and homeless man was considered a fool, and this exemplifies the nature of the book. Crowley was an occultist but NOT part of the illuminati, of which was and is composed of people in positions of political control, power, influence, money and monarchy, etc. In fact, I’m sure they’d find such associations hysterically laughable. Crowley has influence over pop culture, not the inner workings of illuminati control. Interestingly though, there was no mention of the alleged connection of Crowley’s alleged grandfather, G W Bush, and thus, skull and bones, 9-11/pentagon, missing $2 trillion, invasion of Middle East, false wars, Bin Laden CIA asset, nation asset stripping, banking control, forced and planned mass migration, NGO sponsored involvement, National identity destruction, destabilisation of countries, depopulation, agenda 21, big pharma, et al. Again, the book washes over surface issues, and doesn’t connect the dots down to the roots. Fourth, the author believes the main objective of the illuminati is transhumanism. Again this is incorrect. The main goal of the illuminati is to generate a one world government, one world Luciferian religion to rule all under a totalitarian despotic rule. The illuminati AKA synagogue of Satan, W.R.M., has been since the dawn of man. It has taken centuries to get to where we are today. . . Finally, Lucifer is not Satan. Lucifer was second only to God. When God made man he gave free will to worship God or not, however Lucifer disagreed and wanted All to worship without choice, by despotic means, just as is the aim of the synagogue of Satan aka illuminati. . . Because of Lucifers view he left heaven with the rebellion of 2/3 of the angels in heaven, and at that very moment Hell and Evil was generated, Lucifer thus becoming Gods opposite, a God of Evil of the entire universe. In the material world, good cannot exist without evil, for the laws of polarity demand it. God allowed this because God allows freewill. God, being pure, perfect beyond measure, eternal, all that is good and nothing evil, is incomprehensible, ineffable and unfathomable, allows souls to return unto him through faith, belief and love in him, by choice and not by demand. Satan is the Prince of Earth and holds dominion over it, but Satan, the deceiver, serves Lucifer. They are not the same. This fact is well understood by Palladian rite masters, who reside as the high priests of the synagogue of Satan, working through deception. . . All the troubles on earth resonate throughout time as a consequence of the first rebellion. Life on Earth being essentially a test for the prize of souls, either returning to God or serving lucifer in Hell, depending on how one lives their life. I could go on and on, but essentially, the book has many flaws. If anyone can enlighten mead to what he was droning on about, I would be interested! Don’t bother with this one! Tenuous links, cursory research underpinned by religious dogma. The author self admits he is afraid to fully research subject topic which was frustrating to hear. Would you try another book written by Isaac Weishaupt or narrated by Isaac Weishaupt? The author makes lots of links in the chain. Some of this stuff cannot really be argued against because it's there in plain sight if you research it. I do wish authors wouldn't read their books. It should be done by a professional where possible. Did The Dark Path inspire you to do anything? Firstly, I would have found this book more interesting if the whole book wasn't tainted by the author being a practising Christian. Look, lets get something straight ok? aliens are not demons. Ghosts aren't demons, everything that we can't yet explain isn't a demon, ok?. He also goes on to say that he only subscribes to things that have good evidence, and then goes on to say he's a Christian and that aliens are probably demons. I'm sorry but there appears to be some glaring contradiction there. It could have been a very interesting book, but when seemingly intelligent people bang on about aliens being demons because of their religious views, my interest dips significantly. If he had said the earth was only 6000 years old, I would have returned the book. Has The Dark Path put you off other books in this genre? 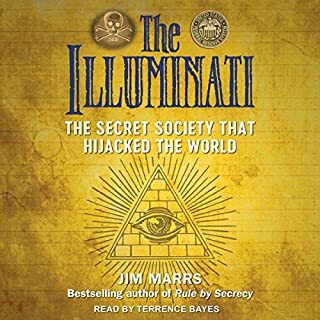 The author stops talking about the principles and explaining why the Illuminati was setup. Instead he goes into long strewn out dribble about pop stars and pop-culture which lacks depth. The part where it explains how people who practice meditation for long periods often go through states of depression and borderline psychosis was pretty interesting. It articulated a side of "medium-ship" often not spoken about. Honestly. Stop focusing on pop-culture and music. I'd love to see more focus on the principles in a clear and accurate way. The book doesnt need to go for hours and hours. It just need to have clear information and get to point. Thank you so much! I love this! I have always been curious about this topic and you've helped answer a lot of questions. I just bought Sacrafice music behind the mic to learn more.